Looking for what’s special in recent cuban music will lead us to the warm voice of Addys Mercedes, taking us to a Cuba between relaxed joy and deep melancholy, rooted in tradition and really fresh. Addys Mercedes has many stories to tell: Grown up in a modest family in rural Cuba, she recalls her youth: A soapbox cart („Carrito de Cartón“) she made with her brothers, and – in her dreams – taking her to Havana. Or the old ferry, that dropped anchor in her hometown Moa and gave Addys the first regular stage to perform (Ahí). 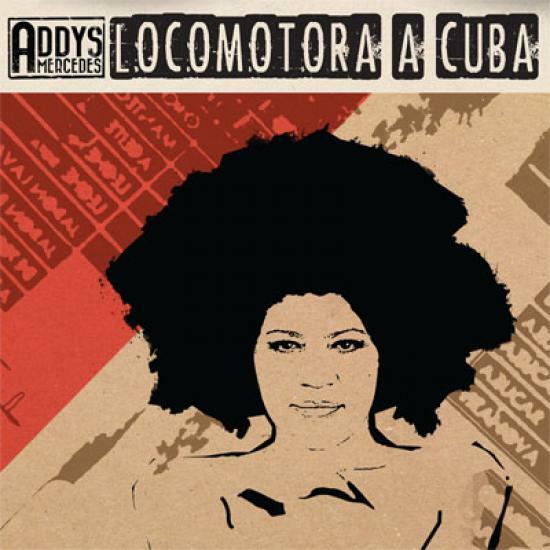 In the meantime Addys Mercedes moved to Essen/Germany and her new album „Locomotora a Cuba“ bridges the gaps between the cultures: The expieriences and everyday objects, she would like to take to Cuba and the liveliness and warmth, she aims bringing back to Europe. In 2012 the third album „Addys“ was successfully released in Germany. The arrangements witness a new selfconfidence in songwriting, away fom clichés. Rockguitars are replacing latin hornsections and salsa-pianos. Addys warm voice draws the bridge from natural ballads to indiepop. “Nomad” – for Addys Mercedes means more than just moving from one place to another. Like she did when she left her Cuban native country in order to conquer the rest of the world by means of her voice. For Addys, “Nomad” is a perfect example for the joy of discovery and the fascination of the unknown. “For Cuban people the world changes only very slowly”, Addys looks back. “I am changing continuesly” she say looking forward. It is just natural for her not to deny her roots but to give them new exciting shades. Her debutalbum „Mundo Nuevo“ (new world) Addys recorded in old legendary cuban studios with musician-friends from her youth. Guajiras, cha cha chas and sones resemble, pure and genuine, of a young Celia Cruz or Omara Portuondo. Gueststar and duett-partner in the romantic guajira „No Me Abandones“ was the legendary Raul Planas. With her warm, unique voice Addys sings about her memories of her cuban childhood (Cha Ka Cha) and the arrival in a new european world (Mundo Nuevo).